Beekeeping is one of the oldest forms of food production dating as far back as 13,000 BC. The history of humans bringing bees closer to their residences is not well documented. Most farmers kept other livestock and grew crops and keeping bees was only part of their husbandry/agriculture. Generally the beginning of “domestication” of honey bees by middle eastern cultures is cited as around from 10,000 to 4400 years ago. 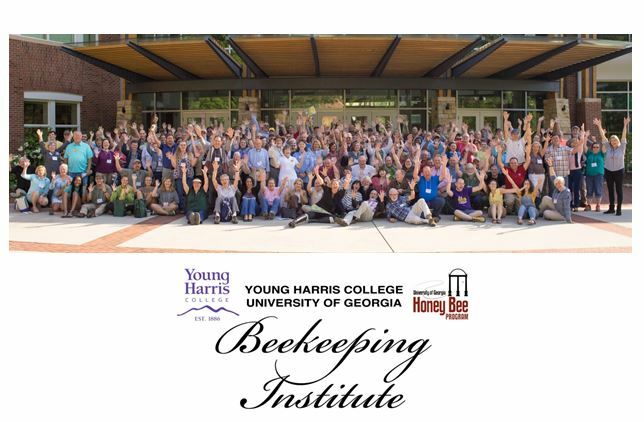 With Reverend Langstroth’s development of the movable comb hive (1851), German Johannes Mehring’s refinement of comb foundation (1857), plus the honey extractor (von Hruschka 1864/1865 – see article by Wyatt Mangum in Sept 2016 ABJ), it became easier to keep honey bees at the convenience of the beekeeper. Prior to this, bees were often “kept” where they were found, in their selected cavities and individuals obtained their honey and beeswax via destruct harvest. 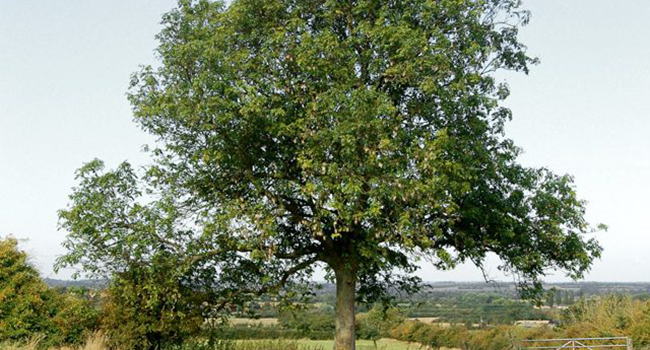 Thus a large history of humans and bees involves keeping bees in bee trees. 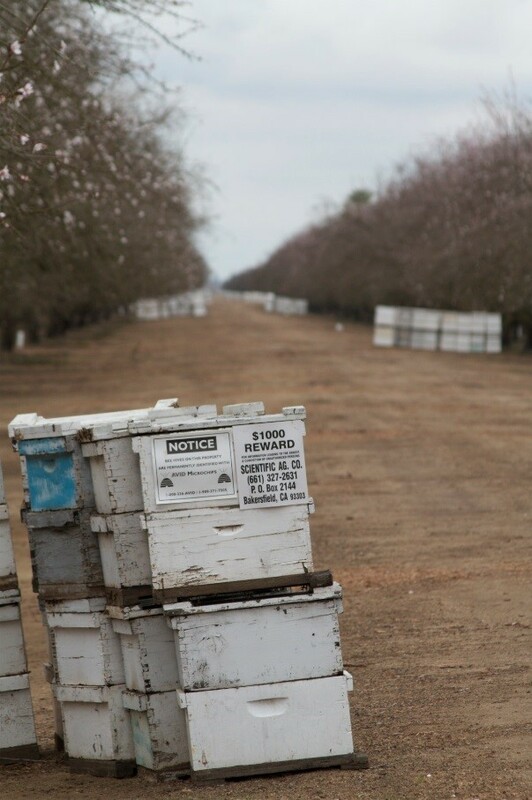 Today we use the phrase ‘keep the bees out of the trees’ to signify control of swarming. 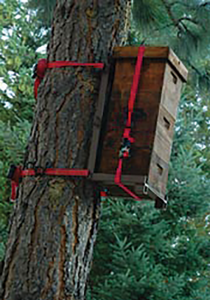 Bees in tree hives are likely to swarm more frequently. 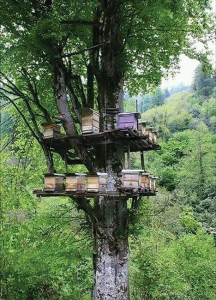 When we maintain our bees in modern hives, we recommend keeping bees out of the trees. But swarming, basic bee reproduction of their colony unit, remains an integral part of what makes a bee a bee. 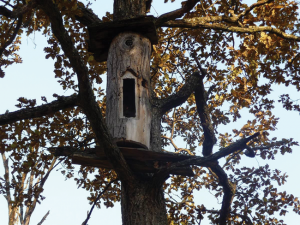 Tree hollows are typically much thicker than a standard beehive, and as such, better able to handle the extremes of heat and cold. Bees in tree hollows do not normally construct their parallel combs to the bottom of the cavity so a debris area forms at the base of the hollow. It remains moist and comprised of organic nutrients, saw dust and living organisms. Within this micro-ecosystem, there are beneficial predators and microorganisms (viruses, bacteria, wax moths, etc) that may help the bees remain healthy. Since many of the cavities bees selected were small the bees often swarmed, which is their way of reproducing and also for “solving” issues like American foulbrood and bee mites. Don’t use top entrances and limit bottom opening to two-inch opening. Original man-made bee hives were small. The original Lansgstroth hive had a “garbage pit built into an incline beneath the hive. With some studies it was found that if European (Italian) bees were kept in larger boxes they would produce more honey. 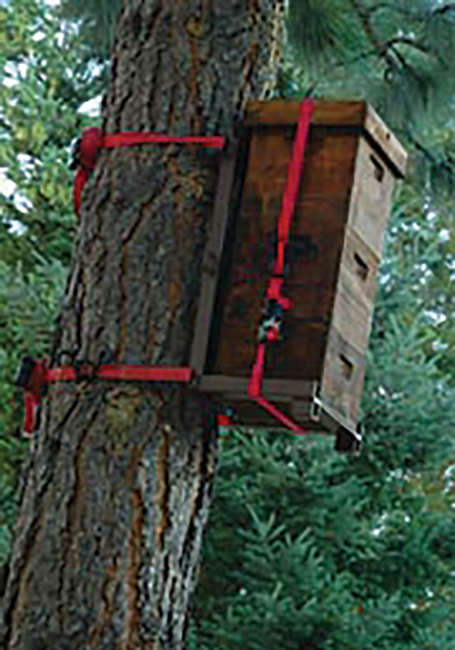 German bees in Europe remained in smaller boxes. Along with management systems recommending a 2nd brood box for Italian bees, cell size of commercial foundations were increased to produce bigger bees. But still today beekeepers keep bees in bee trees. Forest beekeeping of Poland and Belarus has been nominated for listing as a UNESCO Intangible Cultural Heritage of Humanity. 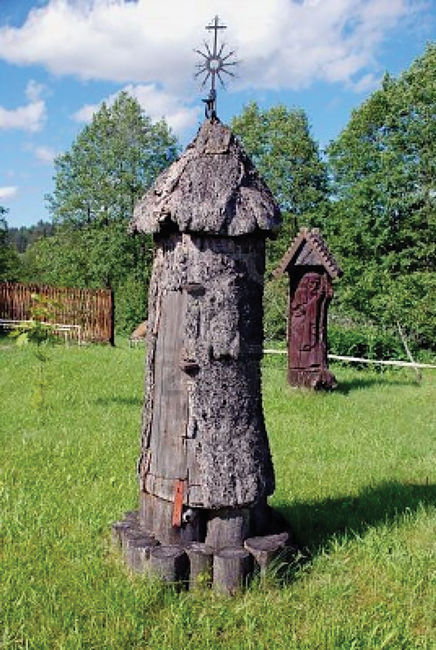 It already has the status of a historical and cultural value in Belarus where this ancient tradition of keeping bees in artificially-made caverns placed high in the trees, going back to 5th-6th centuries, survives until today. In Poland, although the tradition was interrupted, it is being restored. 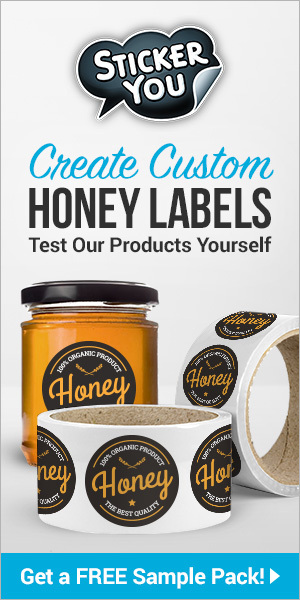 Next articleWill You Be … grilling or barbecuing – with honey, of course – this Summer?